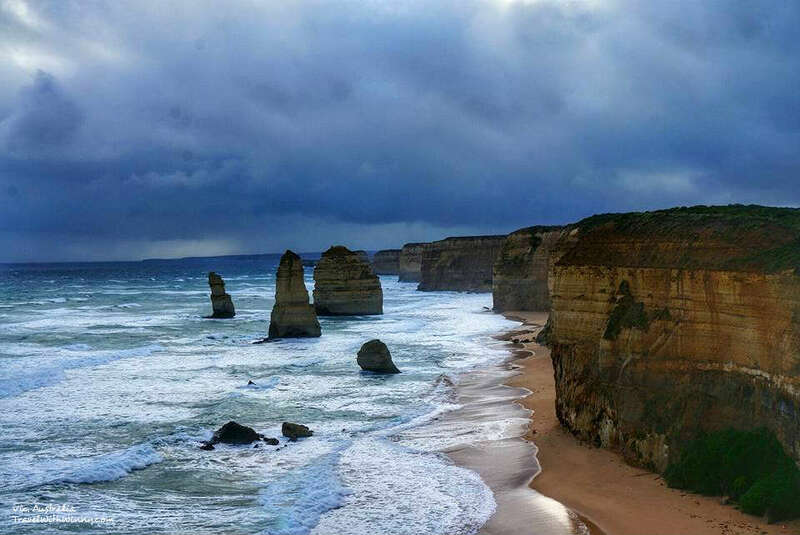 The Guide: What to see on Great Ocean Road? 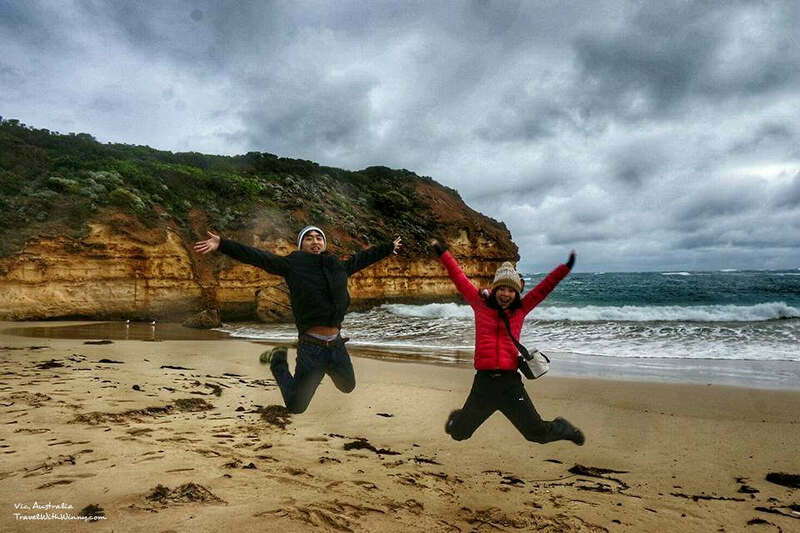 This time, we travelled from Adelaide To Melbourne via Grampians National Park and Great Ocean Road. 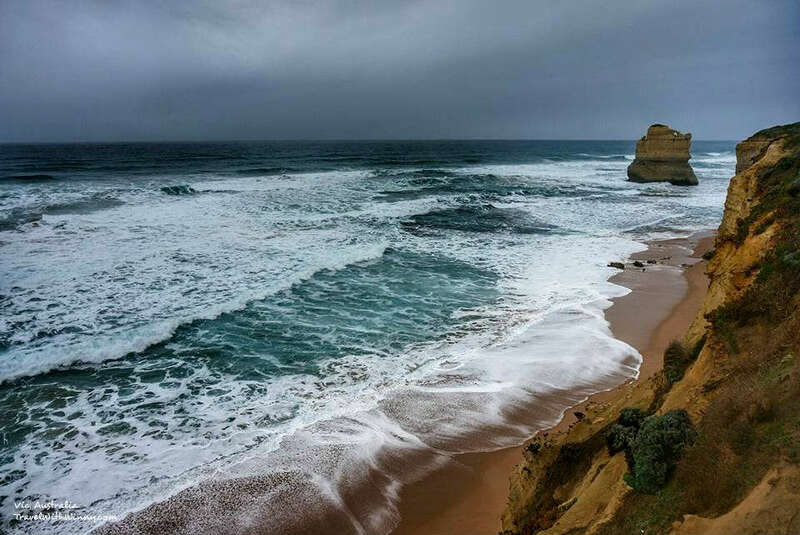 The Great Ocean Road is a 276 km stretch of road built mostly on top of coastal cliffs. The trip is filled with magnificent sceneries ranging from amazing cliffs, raging Oceans and magnificent rocks crafted by the wind and sea over millions of years. It is a road that is well visited by locals and many travel across the world to see. 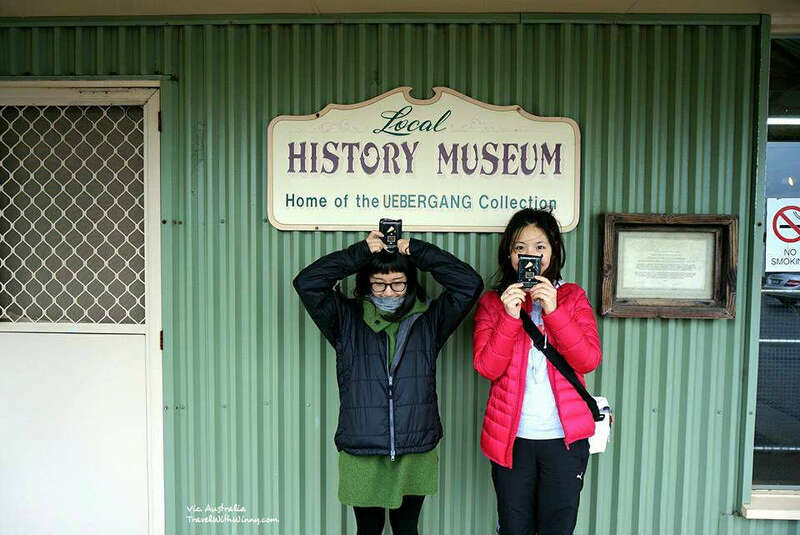 But what to see on Great Ocean Road exactly? We have made a list of can’t missed attractions! 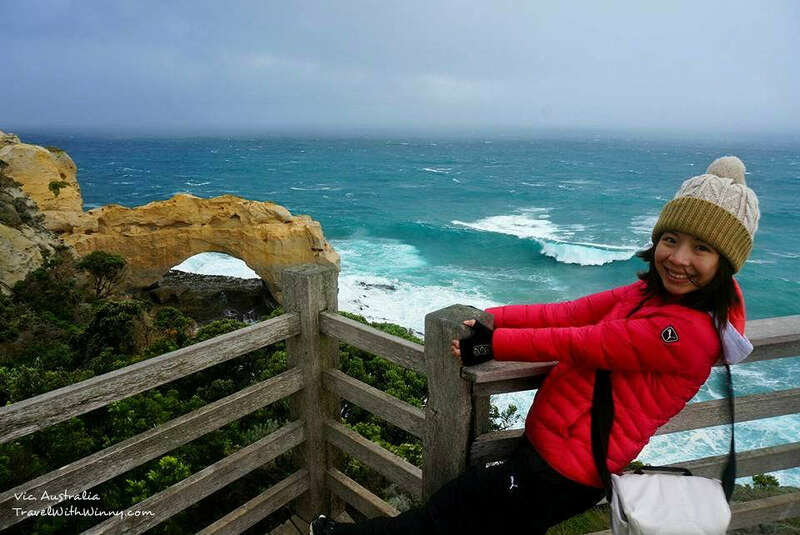 The most famous location on Great ocean Road- “12 Apostles”. The cheese factory we found “Warrnambool Cheese & Butter Factory”. I love cheese. Just leaving Warrnabool, there is a cheese factory called Warrnambool Cheese & Butter Factory which I had to visit. 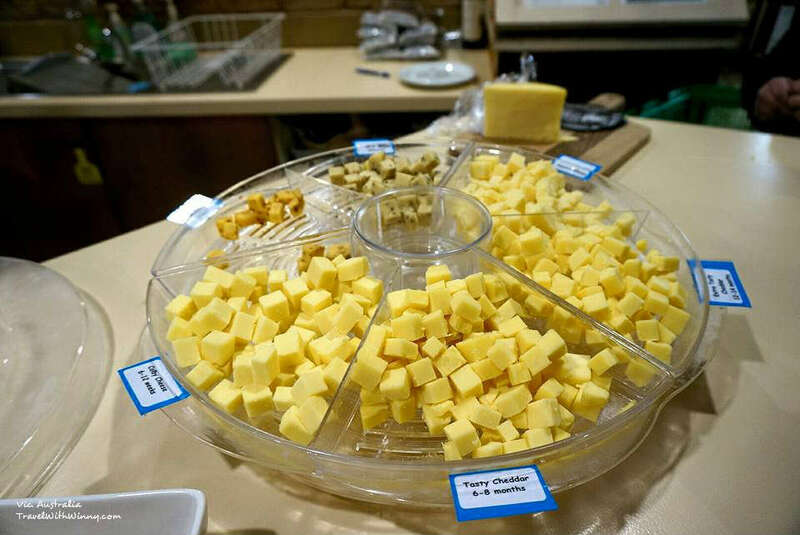 There is a small cheese museum( that introduces how cheese were made in the past), a big cafeteria and a section where they sell cheese and give free tasting. This place only produces cheddar but a few of the cheese they made has won country’s best and world’s best. The taste was quite unique and delicious. We bought two pieces of cheese here. The factory only produces cheddar. Many of the are world-famous. 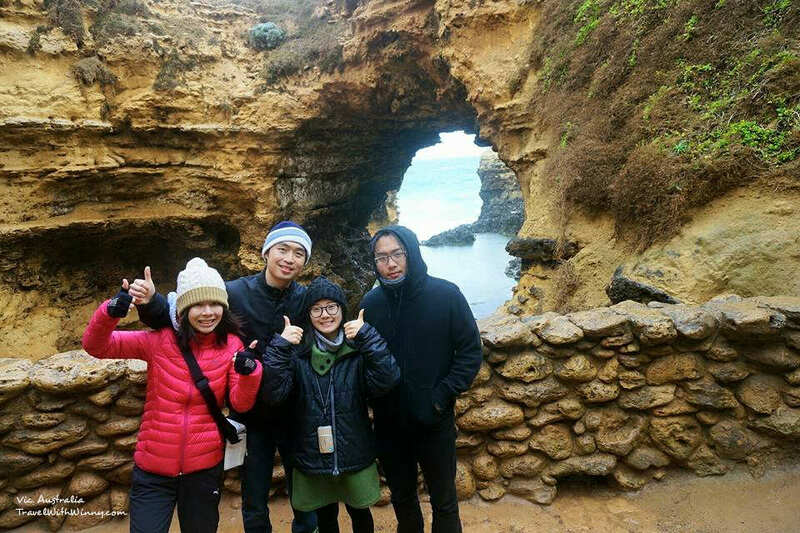 The official Great Ocean Road starts. The first destination is the 32 km long, Bay of Island Coastal Park. Famous sites include Bay of Martyrs, the Bay of Islands, Three Mile Beach and Childers Cove. Word of advice. Do NOT use GPS or Google map to find your locations. 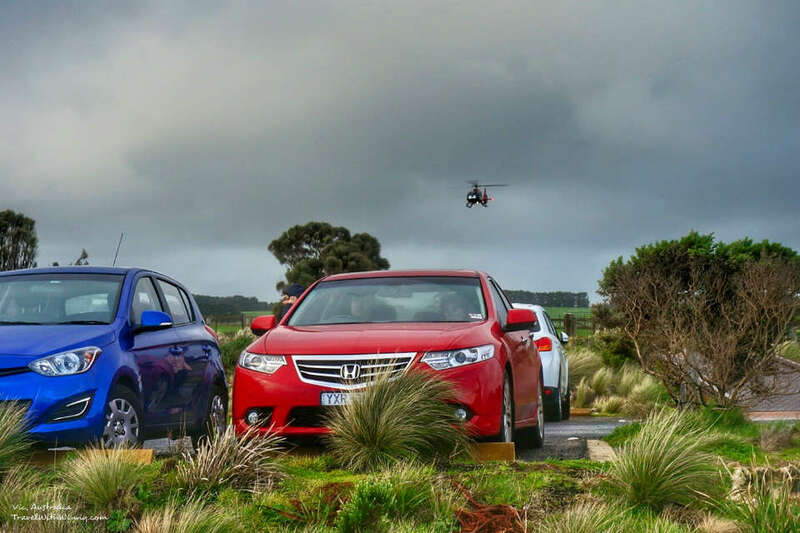 Great Ocean Road has very clear signs that you could follow and car parks at almost all locations. Google map may not bring you to the correct entrance to the location. 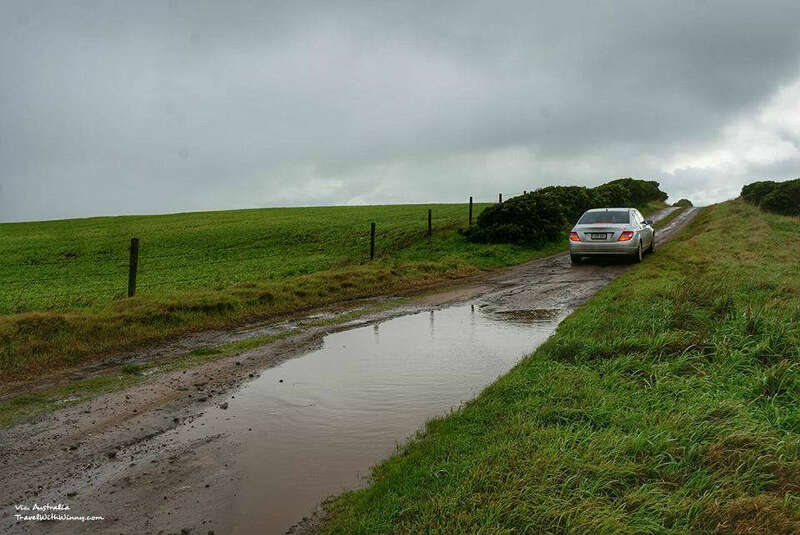 The first time we tried following Google map, we ended up on a dirt track in a cattle farm. There was someone on the same road seemingly lost too. We quickly learned. Strange roads that Google Map will lead you to. Bay of Islands Coastal Park has many trails that you could do and many look outs you could see. We walked down one of these trails which lead to a long flight of stairs onto a cove. It was very windy that day and raining occasionally. Luckily the rocks around the cove blocks the wind, but you could see how rough the sea is from a distance. Heading toward beach walk, The rain has made my lenses all wet. The next location is called “The Grotto”. It is a natural sink hole formed by million years of slightly acid rain corroding into the lime stones. These corrosion will then form sink holes like these. 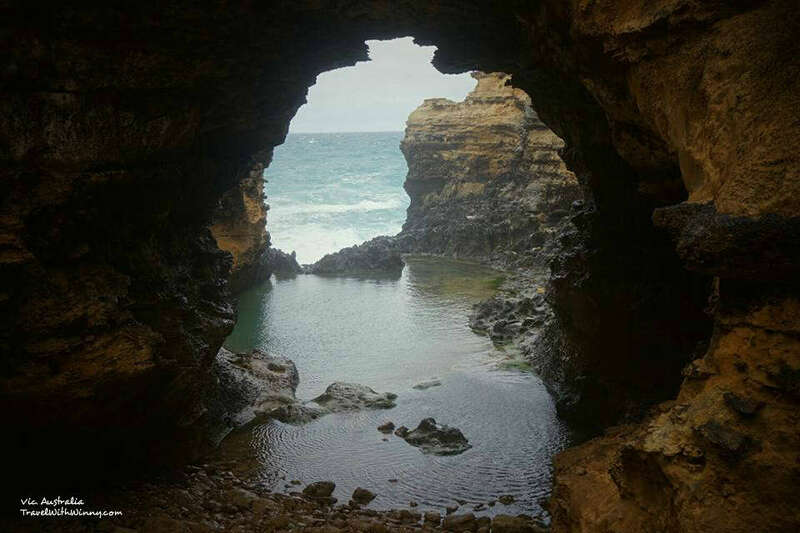 The grotto is a connection of two big sinkholes that links to the sea. Little puddles and pools like these will occur during low tides. If only we could bath in the sink hole pools during summer! A magnificent sight to look through “The Grotto”. From the Grotto Car park, there are quite a few stairs to descend before reaching the bottom to see this magnificent view of “The Grotto”. It’s a pity that many day tour buses from Melbourne don’t stop at this location. Amazing sinkhole after the flight of stairs. From the grotto we arrive at the very famous destination called the London Bridge. 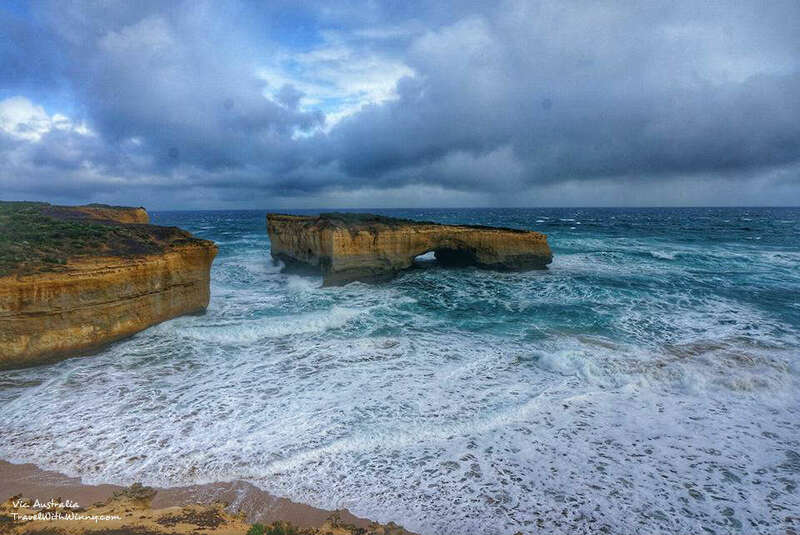 The London bridge is almost as famous as the ’12 Apostles’. Originally the London Bridge was a double arch connecting to main land. In 1990, the first arch collapsed. At that time, two people were trapped on the new formed island. Luckily no casualty that day and the two people were promptly rescued by a helicopter. Super strong wind. Really need to grab onto something! Close by, there is another bridge called “The Arch”. The wind and waves are extremely rough here and we could clearly see the patterns and corrosion it achieved on these hard rocks over millions of year. 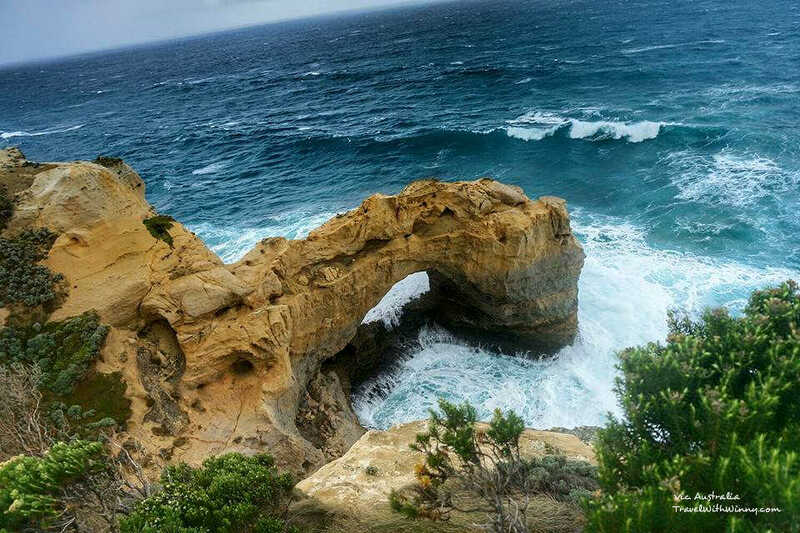 The London Bridge and the Arch all has different platforms and look outs to see these miraculous natural beauties. The next stop was Loch Ard Gorge . It is a place where most tourist look forward to see. This place is only a three minute drive away from The Twelve Apostles. Loch and Gorge is a stretch of beach surrounded by cliffs and appears to be very impressive. This place was named after a ship wreck named Loch Ard. Loch Ard had 52 Crews and all but 2 people met their end in 1878 when the ship sank at this location. we some how missed this location and went straight on to The Twelve Apostles. Although we missed out on Loch Ard Gorge, we were still able to leave our foot marks on the sand on The Great Ocean Road! This place has three different car parks and different lookouts for you to see. It also has a 5.5km coastal walk for people who like to have a stride on a sunnier day. Like the Bay of Island Coastal Park, this place has many stairways that goes down to the beaches for you to take some memorable photos. Unfortunately we missed this location. 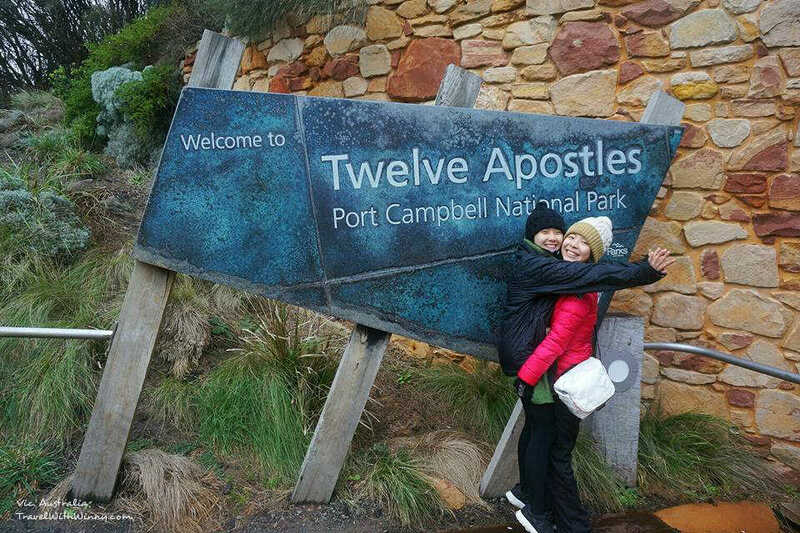 Next we arrive at the most famous location on the Great Ocean Road, the Twelve Apostles. 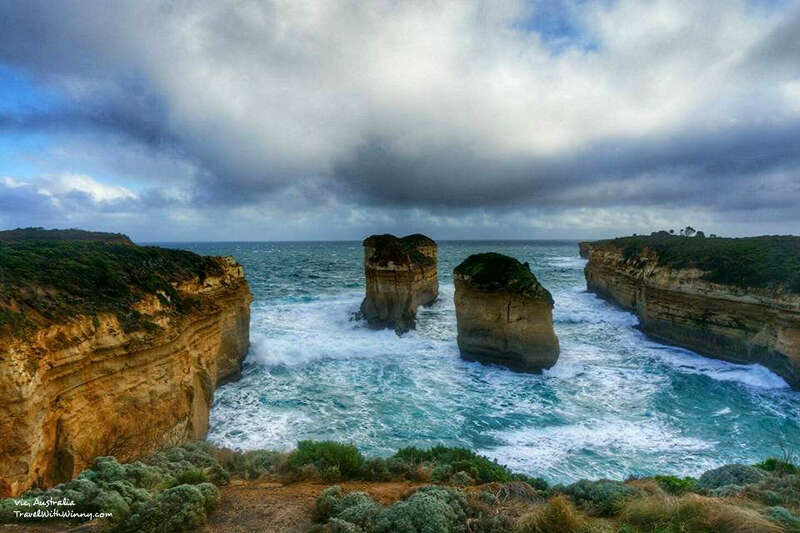 Most people go on the great ocean road just to see this marvelous sight. However, currently there is only 7 apostles left so it was not as impressive as it could be. In 1922, the place was called “Sow and Piglets” but later changed to The Twelve Apostles as it is a nicer name. Although by that time, there were only 9 apostles left, making the name a little deceiving. Each of these lime stone stacks would have been carved out by the sea over millions of years. First forming into arches like the London Bridge and then into single lime stone stacks after the arches collapsed. Each of these Apostles will be pushed over by the sea one day so better come and enjoy this scenery before they all disappear. Island Archway (or used to be) . Another one of my favorites was this huge rock called “The Razor Back”. Due to the corrosion by the sea wind, many of the softer rocks were dented inwards, leaving the harder rocks to appear like razors on the cliff wall. Patterns on the bottom of this rock would be carved by the waves. 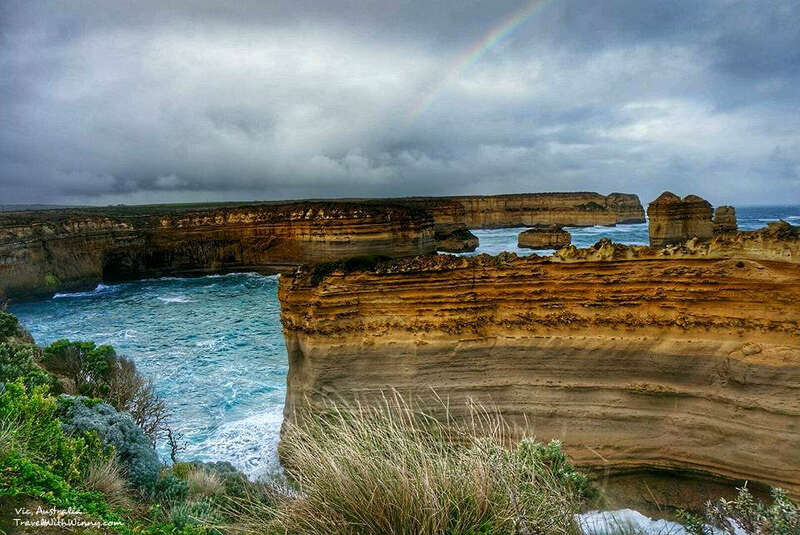 If you have the money, you could also see The Twelve Apostles from the sky. If you are keen to see the 12 Apostles from the air, you could see it via a helicopter. Prices range from AUD$145 for 15 minutes to AUD$570 for 60 minutes. Could check out the official website at 12 Apostle Helicopters for other prices and information. Although on a crazy storm weather day like that day, I would think twice before going on a helicopter. Rainbow appeared. Adds to the spectacular view. 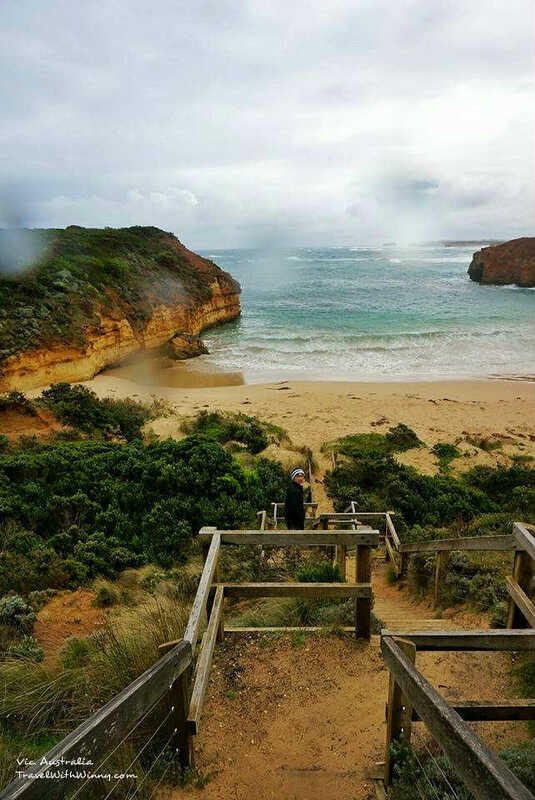 Roughly one kilometer away from The Twelve Apostles, there is lookout called the Gibson Steps. 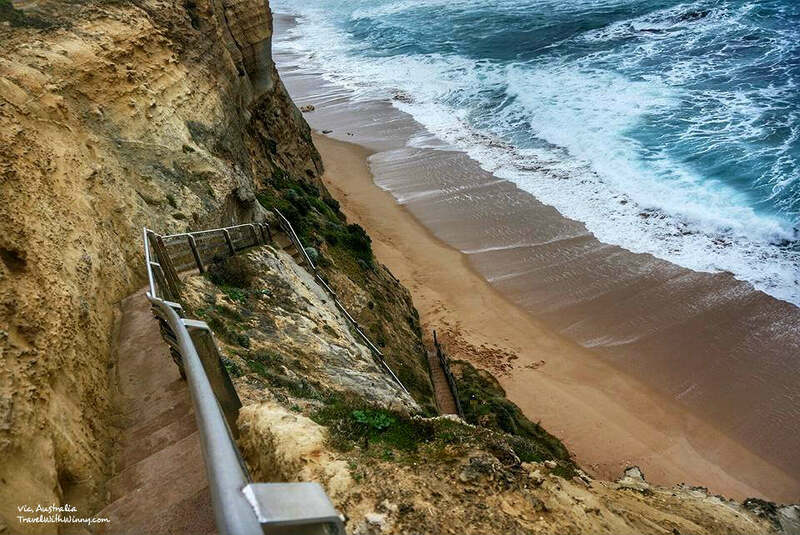 There is a huge decent with 80 steps of stairs that takes you down a cliff to the beach. It is quite steep so do be careful on a rainy day. 80 very steep steps that leads to the beach. 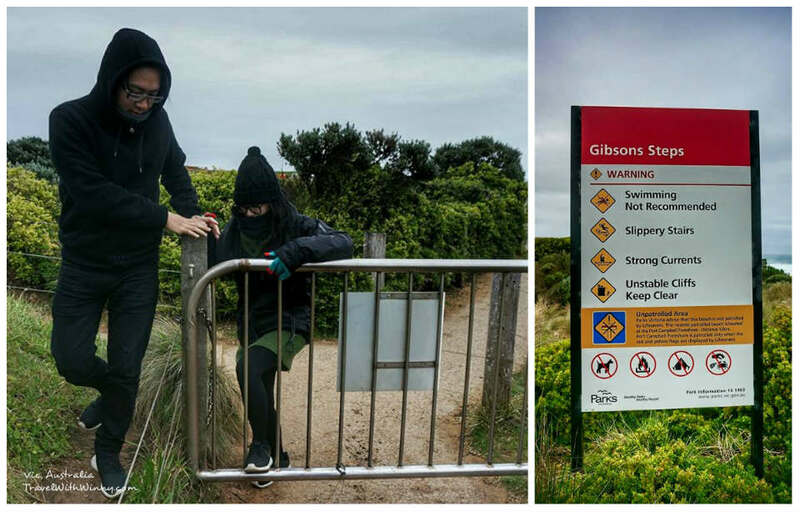 It was very windy with heavy rain that day and as a result, Gibson steps was actually closed. We saw a few tourists climbed though the side so we followed. Not too sure if anyone patrols this area and the road workers around the area encouraged us that it was OK to jump in and have a look. Haven’t been bad for so long. Super Nervous! The waves there were huge. It was another site where you could be blown away by the wind. 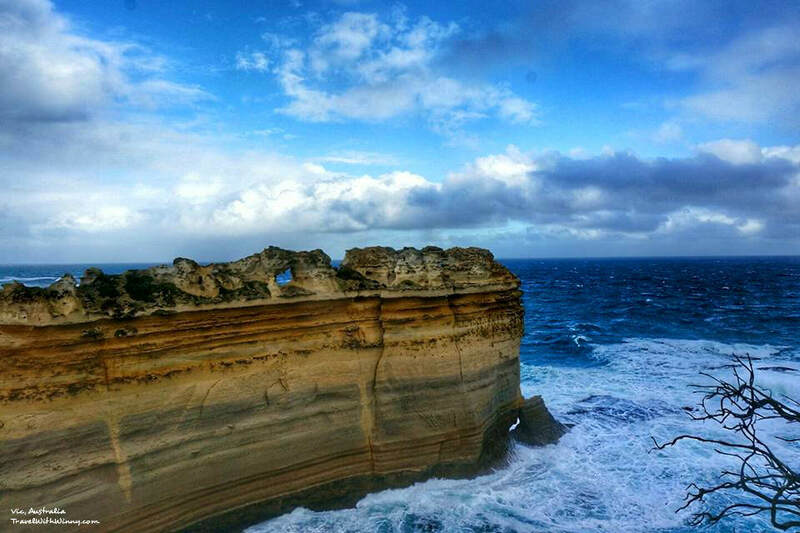 Although you could probably see the 12 apostles from the beach, we dare not go there. I think we could be easily be swept away be the waves. We stopped half way down the stair and enjoyed scenery of the rough sea a little before we continue our journey to Melbourne. If only we came at low tide, we could see the 12 Apostles from the beach. 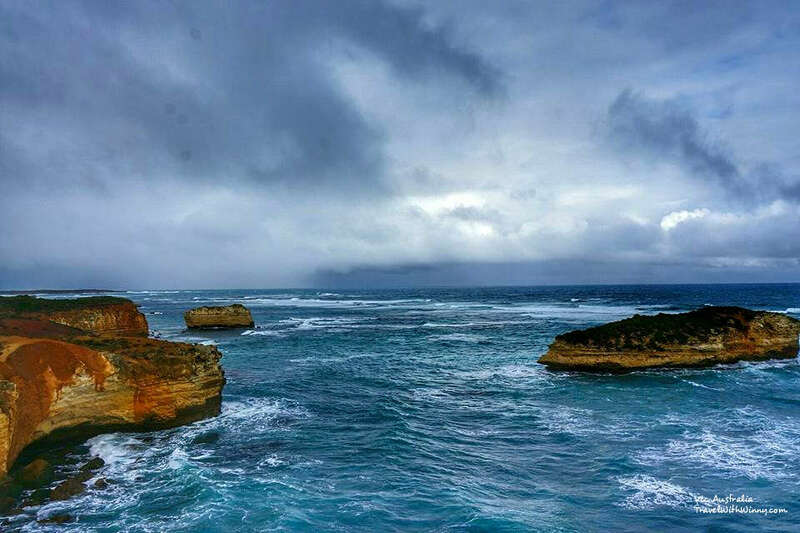 Most of the sites are close to Port Campbell and if you are coming from Melbourne, Port Campbell would be a good location to stay at. Below is the order you should see the sites if you are driving from Adelaide to Melbourne. There are many awesome sceneries and interesting towns close to here and it is only three to four hours drive away from Melbourne (depending if you are coming from land or sea route). 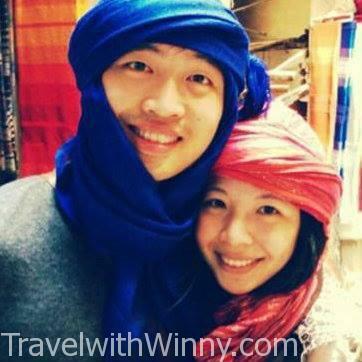 My next article would be introducing some interesting destinations we went to from here to Melbourne! If you like my article or find it useful, please like my Facebook Page!! You would be able to see my travel updates! Thank you for your support!